As hungry travellers journey beyond the chic metropolis of Paris and head south towards the eclectic terrain of central France, a family name seems to echo across the landscape. In a region locked between Auvergne and Beaujolais, it is named with a legacy, the family who bear it having shaped French culinary practices since founding their first restaurant in Roanne in 1930. 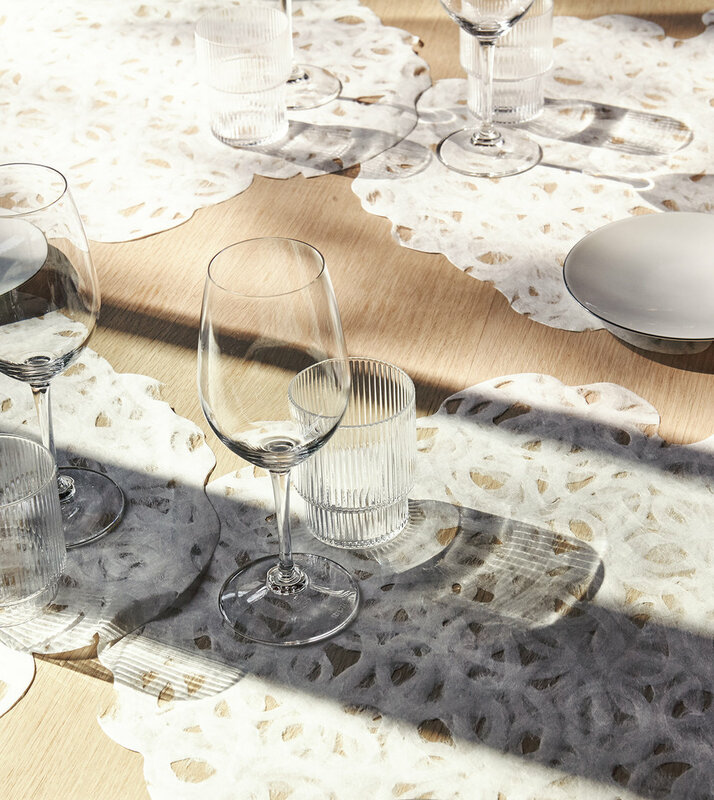 For four generations and nearly 50 years of three Michelin star recognition, the legacy has continued to grow, their culinary empire founded on a passion for taste and natural flavours, and a desire to ceaselessly seek their own reinvention. Today, as you make your way southwest from the restaurant’s original location, towards the town of Ouches, a small black sign reveals the family name - Troisgros. A new chapter has begun. 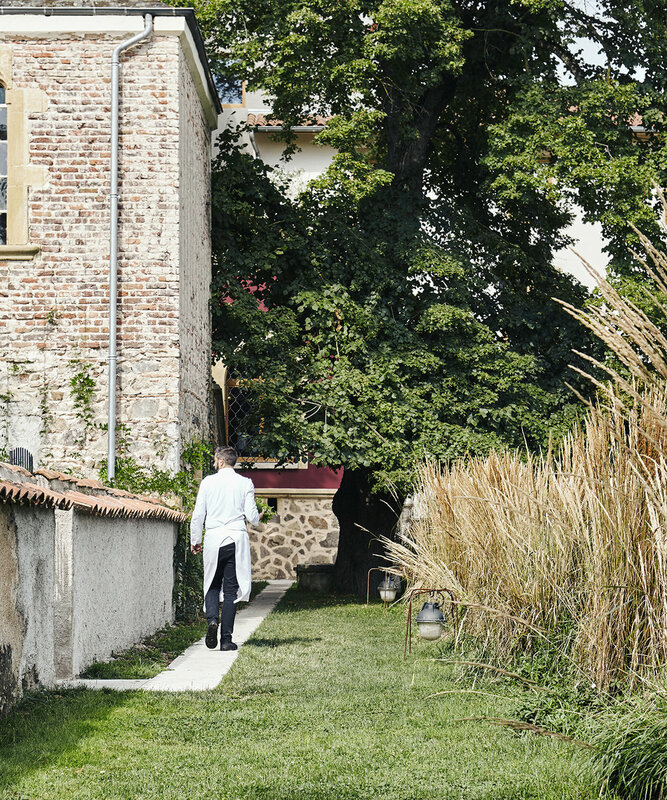 Michel and Marie-Pierre Troisgros, along with their son César, have achieved their dream; to re-establish and revive the notable Maison Troisgros in the countryside, all the while maintaining the values that distinguished the original restaurant. When you first encounter the new maison, built from the ruins of an abandoned farmhouse, itis hard to not be taken aback by the property’s beauty. 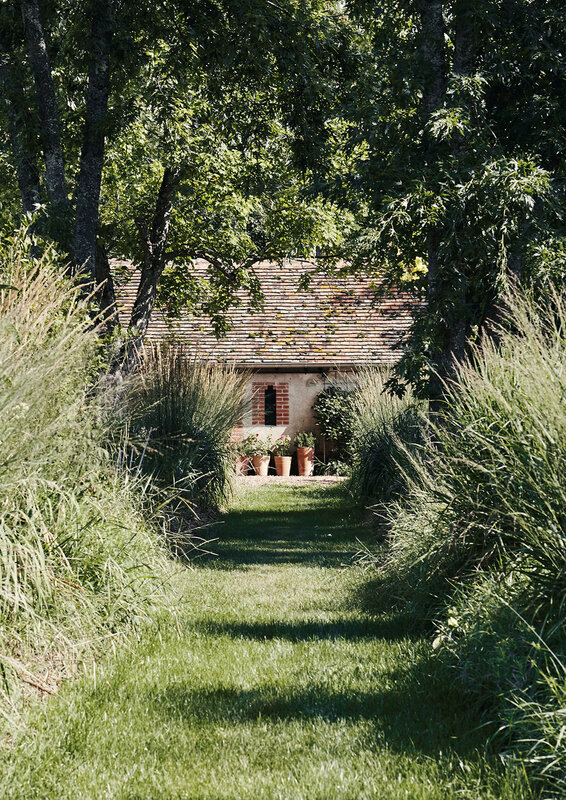 Walking up to the reception area, guests are greeted by a garden of wild grasses and herbs. To the left, a path leads towards a wooden allotment where oak trees frame a mirror-like pond. 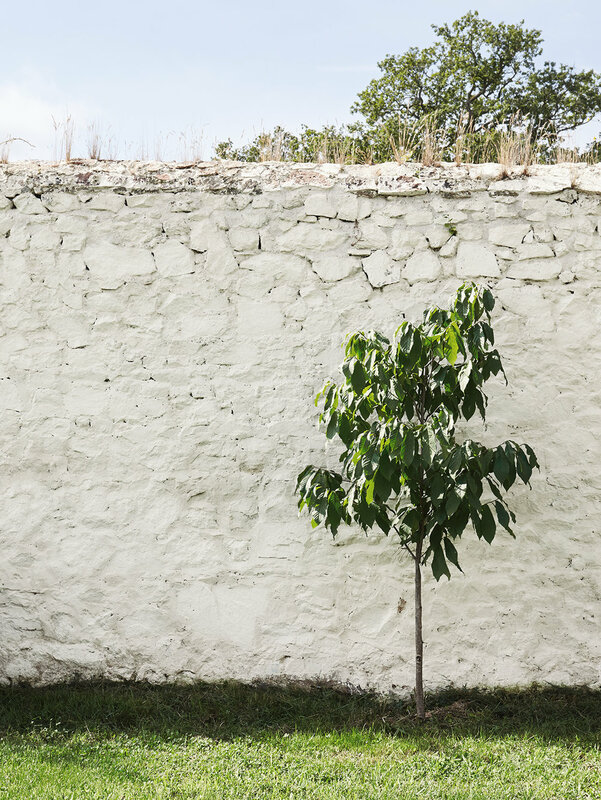 Rusted gates, ceramic pots, vine covered walls and weathered doors give the property a unique atmosphere, an homage to country charms and a simpler way of life. Entering the maison, this fairytale-like feeling intensifies. 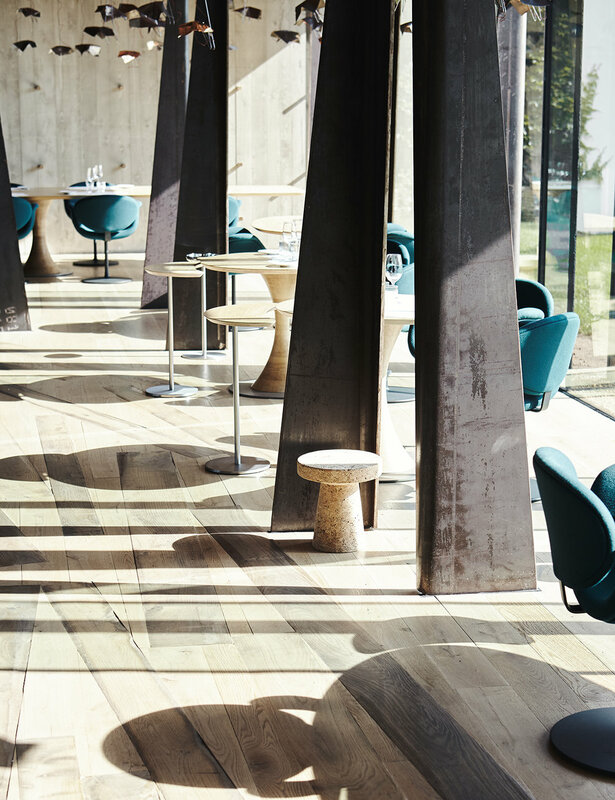 The sommellerie, dining area and large oak tree - the restaurant’s centre piece - reminding guests that Michel, Marie-Pierre and César offer more than a simple gastronomic experience. Rather, this is an intense, thoughtful and all consuming journey through food and design. 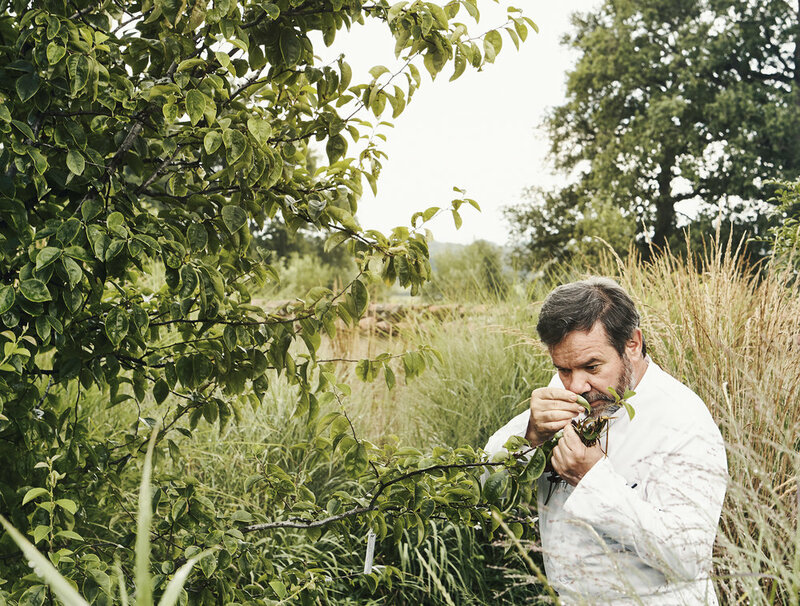 In this new cuisine, Michel and César transcend the work of their ancestors, displaying a sense of understanding, confidence and maturity, and a keen eye for detail. They revisit traditions of their past and re-imagine them in the present, all the while considering their future. Michel explains that the change from the city to the countryside was an opportunity to rethink the entirety of their cuisine - a chance to add greater dimension to their craft by virtue of their environment and the resources it had to offer. This philosophy has remained an integral part of their cooking and vision for their restaurant. From the carefully planned yet simple details found throughout the property, to the vision behind the food, Michel is influenced by his own story and that of his family - both filled with passion, audacious choices, risk and courage. This all helps to make Maison Troisgros an establishment with promise and a beautiful future.